Since the opening of a mini hostel 'Fredericks is an example of the highest level of service and individual approach to each guest, and can be considered one of the finest small hotels in St. Petersburg! 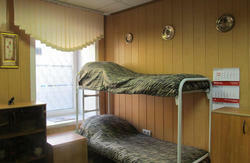 This hostel is just 10 minutes' walk from Vosstania or Maiakovskia Metro Station, and 10 minutes' walk from main arteria of Saint-Petersburg - Nevskii Prospect. Friendly staff can provide tourist information at the 24-hour reception, which features a free internet point. - Help with booking train tickets, theater tickets, etc. - We provide visa support and registration for our guests! 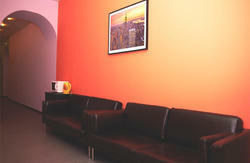 Our hostel offers accommodation in 2, 3,4, 5 & 14 beds' room. Our rooms are very spacious, comfortable and decorated in old-style 19 th century. Common Room is comfortable to rest after walks and excursions. this is the place where you can relax alone or with your friends. When you arrive you may use a subway to the metro station Ploschad Vosstaniya (exit Nevskii pr. and Vosstania str. ). Between the shop '24 hours' and a cafe you will see Brown door. On the door you will find intercom. Just press numbers '31' .Above the door a sign saying 'Tourist Company Asgard'. Go up the stairs and you will see the apartment № 31.